4 stars. More like 4.5 stars, if the world would let me rate books in half stars. This novel was an excellent companion novel, and such a fulfilling adult contemporary romance! If I want my romance fix, I know Keyes is the right author to look up! I am definitely excited to read more from her in the future, related to this series or not! Time Served is only $2.99 at the moment! Don't miss out! Two brand new tales anchor this wide-ranging collection from one of urban fantasy's most successful authors. 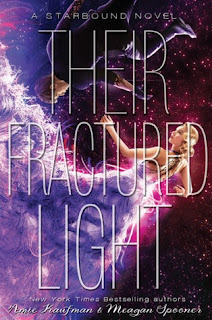 Here is the first time that best-selling fantasy, YA, and crime author Kelley Armstrong has had her stories collected from Otherworld and beyond. With her signature twists and turns, Armstrong gives a fresh spin on city-dwelling vampires, werewolves, and zombies, while also traveling further afield, to a post-apocalyptic fortress, a superstitious village, a supernatural brothel, and even to feudal Japan. I don't think I've ever reviewed an anthology! I've certainly read a few, but not reviewed one (that I remember). I don't read anthologies often - the stories inside are too short for my taste, and I never feel satisfied. With this anthology, I was really only interested in the Age of Legends story, The Kitsune’s Nine Tales. While that one was probably my favorite of all of the short stories, I enjoyed this anthology as a whole. There are so many stories in this anthology, and I won't bother summarizes each one, or even commenting on each one. We'd be here all day! I'll highlight some of my favorites - The Kitsune’s Nine Tales, The Door, and Devil May Care. The Kitsune’s Nine Tales is the only story I really wanted to read in this anthology, when I first heard that this anthology would be a thing! I've read Armstrong's Darkest Powers series, and the Age of Legends series. I wasn't a huge fan of the Darkest Powers series, but I LOVE the Age of Legends series. The rest of Armstrong's books are unfamiliar to me, though I know how popular her books are (as well as she herself!). The Kitsune’s Nine Tales is the story of Alvar Kitsune and how he escaped death in the Forest. This story is very short, yet very dense. There are short cameos from Gavril, his son, but call that this story takes place over ten years ago, so Gavril is but a boy. This story seems like it is going in one direction, regardless of whether or not you've read the Age of Legends books, but Armstrong finds ways to surprise a reader. This story was certainly interesting, and a bit surprising! The Door is the next story that I really liked. 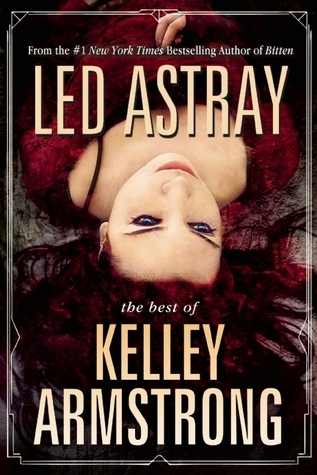 It is an original short story, not related to any of Armstrong's published novels. It is the story of a young girl whose father brings her books and toys, and when her sisters are born, brings them books and toys. The girl is not supposed to go near a certain door. When her father dies, and then her mother, the girl opens the door. She must make a decision, if she wants to keep opening it, or not. This story sounds really simplistic, with little conflict, but the story itself is so intriguing! What's beyond the door? What didn't her parents want her to see? What do their deaths have to do with the door? This was a strange short story, and I'm not entirely sure I understand it, but that is the beauty of short stories! The last short story I want to highlight is Devil May Care. This story is a background sort of story relating to the Cainsville series. I've not read this series. This story is about how Gabriel's father and mother met, how Gabriel came to be. It is a strange story, because the Patrick and Seanna do not know each other until one they meet. Their interactions are very strange. Gabriel is conceived, but the parents do not want anything to do with each other. Nevertheless, I am very intrigued. The world of Cainsville seems to be one of fae, foretelling, fulfillment. This story was brilliant for several reasons, but importantly so because I am hooked and want to read the Cainsville series now! Overall, the stories in this anthology were engaging, entertaining, interesting, and definitely helpful if you've read the full-length novels of the series that the short story corresponds to. And the short stories that stand alone are mesmerizing and strange, definitely worth reading! All of the stories are rather short, which I (for the most part) enjoyed! I don't know if there was anything specific I didn't like? It's possible that I might have enjoyed some short stories more, had I read the full-length novels associated. But that's my problem, not the author's, and it's not a negative towards the book! Just a note, in case you're in the same boat as me! 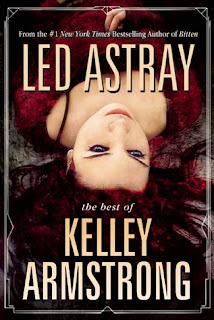 If you're a Kelley Armstrong fan, or even if you've only read one or two books by her, check out this anthology! I'm not usually one for anthologies, but this one was quite interesting, and very easy to read, as the stories were short and engaging. 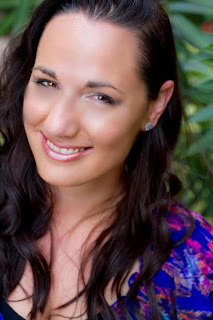 Armstrong is a talented urban fantasy writer, that is proven over and over! 4 stars. One of the few anthologies I've read, and I've enjoyed it! Might I recommend the Age of Legends series to everyone? High fantasy YA, simply amazing! The short story in this anthology for that series is very eye-opening! Definitely check out some of Armstrong's books if you get the chance. This week, my swoon is from Vengeance Road by Erin Bowman! I grab him at the neck and pull him nearer. His mouth is warm and soft when it meets mine, his jaw rough 'gainst my skin. He leans into the kiss, arms gathering me up, and I swear a part of my head drifts right outta my body. I don't got a clue what I'm doing, but he seems to, so I let him lead. I let him lead like we're still dancing, and I follow blind, praying I ain't awful while trying to keep my knees strong, 'cus I wouldn't be shocked if they bucked and broke right there. Jesse Colton tastes like spice and tobacco and sweet mountain air, like salt and sweat from our travels. He feels like home and smells like mountains and I can't get enough. My one hand grips him tighter at the neck. The other curls into the front of his shirt. 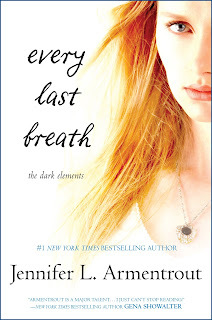 Welcome to the release day blitz week celebration for Every Last Breath by Jennifer L. Armentrout! 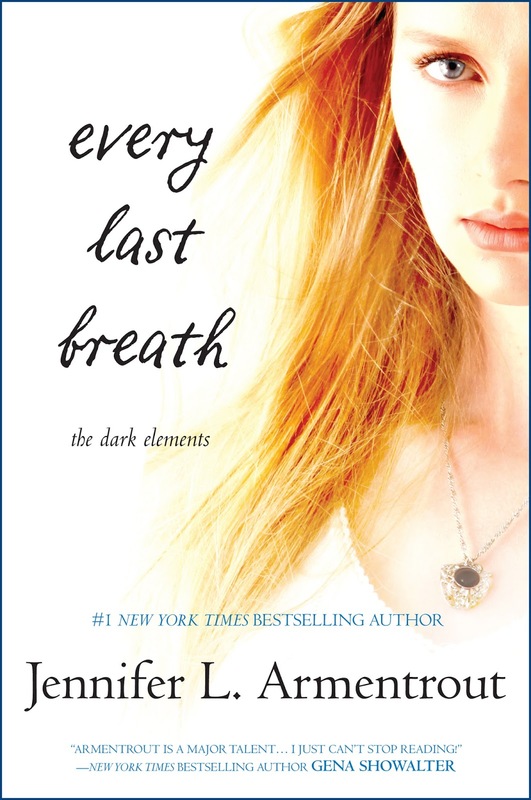 I'm a huge fan of JLA, and while I have not read Stone Cold Touch, I intend on binge-reading that one and Every Last Breath as soon as my preorder arrives! Check this novel and see how this series wraps up! This book was so cute! Cute is probably the best way to describe it. 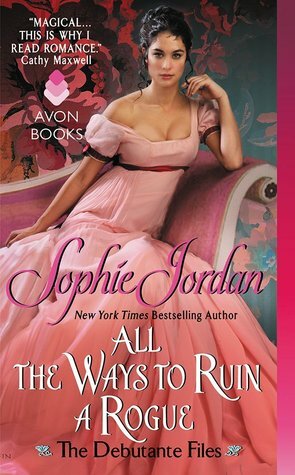 I knew it wasn't going to be the bodice-ripping types, like we get from Avon (imprint of HarperCollins). This is a UK-published book, so it's also not too well-known here in the States. Still, I saw it on NetGalley, asked my LB UK contact about it, and certainly enjoyed the book! Lizzy is a former girl for hire at Mrs. Wilkes house. She hated working in this whorehouse, and ran away with two other girls. Now free, she is very poor, and simply looking to secure the protection of a wealthy lord, so that she won't have to search for opportunities from different men. When a chance with the Lord Hayes comes up, Lizzy does not hesitate. She'll please him in whatever way he wants for fifty guineas. A week of masquerading as his lady companion? No problem! Street girl and former girl at Mrs. Wilkes meets high society London in this fun and startlingly deep historical romance novel. One of the things that surprised me and delighted me was the protagonist - Lizzy is a former girl at the well-known whorehouse of Mrs. Wilkes. She was ruined by a gentleman, who then took her to Mrs. Wilkes house, where she would do her duty and sleep with the men paying for a girl. 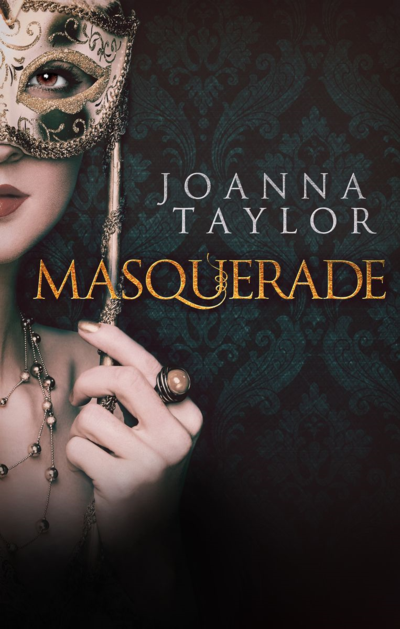 It's rare that you read a historical romance novel featuring a prostitute, girl for hire, whore, whatever you want to call her. But the thing is, Lizzy OWNS her profession. 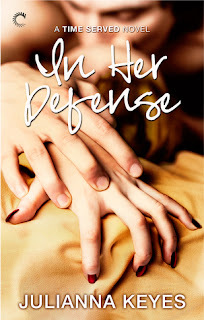 She is in total control, and doesn't feel sorry for herself, or heartbroken. She is shameless, and will do what she needs to in order to pay bills and debts. Lizzy has no fear or shame, and is good at the freelance type of work she's doing, now that she is free of Mrs. Wilkes. Nevertheless, Lizzy shows an outward and inner strength of character that is uncommon in historical romance novels. She is already so different from highborn ladies, as she was a country girl before she was ruined, and now she is a street girl. She takes Lord Hays' offer to be his companion for a week, and learns much about society during this time. But fancy dresses and jewels won't make her forget her former life, who she is. I really like Edward. He is a thoughtful, careful, kind man. He is out to save his family's fortune, to make trade deals and buy a ship to trade guns. He hires Lizzy to be his companion (for good reason), but soon he grows to care about her. She is brash and brazen and outspoken, no matter that he is paying her. She attends to his needs but never worries about her own. She takes care of him, yet he takes care of her. The two of them are a great pair, as he is rational and calm, and she is wild and boisterous. The setting is very authentic! Very historical, in terms of location, time period, treatment of women and women's rights, class differences, societal norms. There are so many historical aspects that Taylor captured very well! 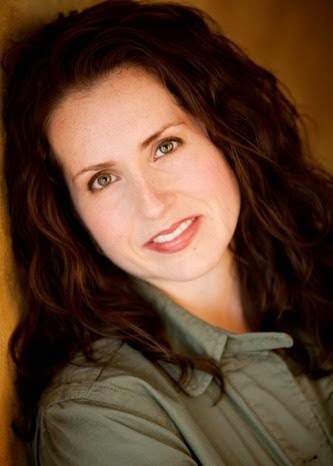 As the story goes on, more is revealed about Lizzy and her past, as well as more about Edward's life. The week passes, and Lizzy and Edward have decisions to make. Their relationship grows beautifully, and they have grown to care for each other a lot. The ending of the story was unexpected, but quite satisfying. I don't think I could have seen that ending exactly as it is, but I couldn't have it any other way. This book didn't get nearly into the chemistry side of the romance as I'd hoped. I am well aware that this is an Alyssa problem and really has not much to do with what the author wrote, but I was totally expecting more from the romance. Don't get me wrong, Edward and Lizzy are intimate pretty often. It's just not explicitly told, which bothers me. As a historical romance junkie, I love steamy scenes between the couple. It's all part of the allure of an ADULT historical romance novel, no? This book didn't have that allure. While I still very much enjoyed the book, I expected something else. This book was really lighthearted, but also to the point where it seemed like there was a layer or two missing. Everything was on the surface, laid out in front of you. One thing after the other, like a string of episodes on a sitcom. I'm not sure if I'm making sense, but it felt a little underdeveloped. I expected a little more resolution from Lizzy's friend Kitty. It seemed like the debt collector in the beginning of the book would come back into the plot at some point, maybe the climax. That plot device was not employed, which was kind of sad, because I expected that. It would have made sense to bring that back into the plot. I think? This is a really "clean" historical romance novel, if that makes sense. It's also pretty lighthearted, on-the-surface kind of story. Not much depth, and again, not much steamy stuff explicitly written out. So, if you're new to the historical romance game, and want something light to start out with, I'd recommend this one! But if you're like me, a die-hard historical romance novel fan, this probably isn't the best selection for you. 3.5 stars -> rounded down to 3 stars. But really, it should be 3.5 stars. I liked this novel! I'm glad I had the chance to read it. I'll be interested in more of Taylor's historical romance novels in the future. Welcome to the blog tour for Dr. Seuss's newest novel, What Pet Should I Get? 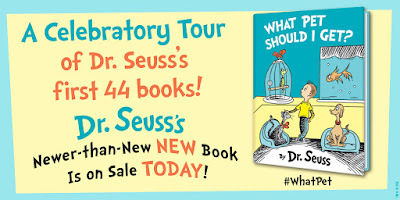 :) I am beyond excited to be sharing one of Dr. Seuss's oldest novels - and his first adult one, at that! Enjoy! The book recounts in prose the tale of not one, but seven Godiva sisters, none of whom ever wear clothing. The explanation for their nakedness, even when walking in snow, is that "they were simply themselves and chose not to disguise it." The story opens with the sisters' father, Lord Godiva, deciding to leave for the Battle of Hastings on horseback. This upsets the sisters, as horses are wild and untamed animals. Sure enough, before Lord Godiva even manages to leave the castle walls, he is flung from his horse and killed. As a tribute to their father's fate, the Godiva sisters agree to never marry—despite the fact that each is courting one of seven brothers named Peeping—until they can warn their countrymen of the dangers of horses. The book then follows the sisters as they set out on individual quests for "horse truths", which turn out to be well-known sayings involving horses. This book was hilarious. And adorable. It is Dr. Seuss's first adult novel, which is why I chose it for the blog tour for review. It's unique to all of his other books, which are generally for children. This book could definitely be read by a younger audience, but I see why it's an adult novel. 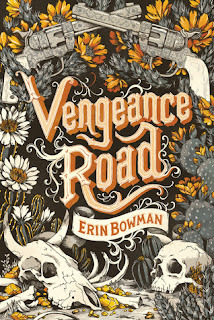 Check out the cover, for starters! The story follows the seven naked Godiva sisters, daughters of Lord Godiva, Earl of Coventry. The seven Peeping Brothers and the seven Godiva sisters are in love (each a pair), but when a horse throws the Earl and the Earl dies, the sisters make an oath: each of them must find a "Horse Truth" or they can never act on their love and get married. The Horse Truth must be something that warns others about the mysterious nature of horses - because in 1066, not much was known about horses specifically! Will the ladies find these "horse truths", and true love? Like I said, this book was hilarious. In classic Dr. Seuss style, the story is both simple and complex, with a deeper meaning than what is on the page. The sisters are naked (think about why - this is open to interpretation, and it's also a legend! ), and they swear off marrying until they can do some good for the world. The seven sisters stick to their oath - either they find a Horse Truth, or they don't get married. 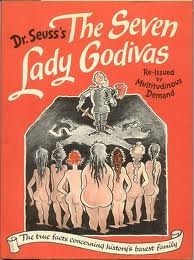 I love how Dr. Seuss took an old legend, with Lady Godiva and Peeping Tom. Don't know what I'm talking about? Check out the Wikipedia page on Lady Godiva. Legend has it that she rode around on a horse naked, taking a stand against the high taxes that her husband imposed on the people. She sided with the people, and rode on the horse naked to oppose her husband's policies. A man named Tom was punished for watching her ride naked (either blind or dead). Interesting, no? Dr. Seuss takes this legend and spins it differently - Peeping is the family name for seven brothers - Tom is one of them. Instead of one Lady Godiva, there are seven, who are always naked. When a horse kills their father, they swear to learn more about horses before they can ever get married. It is quite an intriguing story! And historical fiction, at that! I love medieval historical fiction. And it's a funny one, despite the grim nature. Trust me, Dr. Seuss gets dark. Horses are dangerous... someone should have told the Godiva sisters and their father that. Thus, it is very adult. But it is funny, heartwarming, and ends well! Nothing for here! I enjoyed the book, and would love to give it to my baby cousins when they get older. It is a classic! 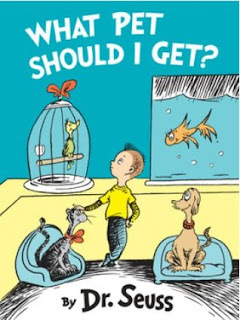 I would recommend this one to any Dr. Seuss fan! 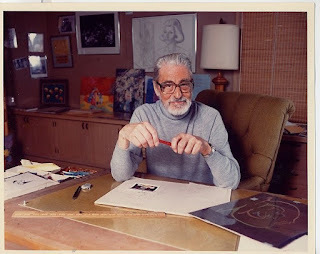 It's one of his oldest novels, and his first adult novel (not many adult ones), and it's probably among my favorites of Dr. Seuss! 4 stars. I'm sad to see that this one is pretty much out of print! It is such a great novel. Check out the prices for copies of this book - it's practically rare! I urge anyone who likes Dr. Seuss's books to read it though - his adult books are just as fun as his children books! Hi friends! Happy Monday! Welcome to the blog tour for All the Ways to Ruin a Rogue by Sophie Jordan, book two of The Debutante Files series. Check out this book, publishing tomorrow, and enter the fabulous giveaway! “But that is what you need. A strict hand to lead you.” His gaze raked her. “Look at you. Look where you are.” He waved a hand about them. July 2015 New Release Giveaway! July 2015: Have You Seen This?